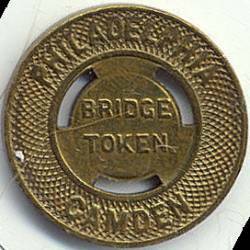 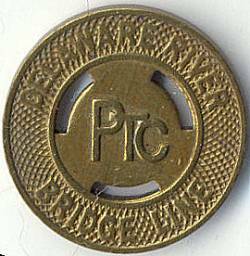 The City of Brotherly love has a rich transit history and tokens are a part of it. 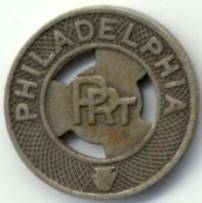 For photos of Philly's current transit system see the Philadelphia Transit Page. 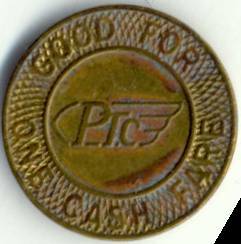 Before PATCO, PTC operated subway trains to Camden over the Ben Franklin Bridge PTC operated Philly's transit system prior to SEPTA. 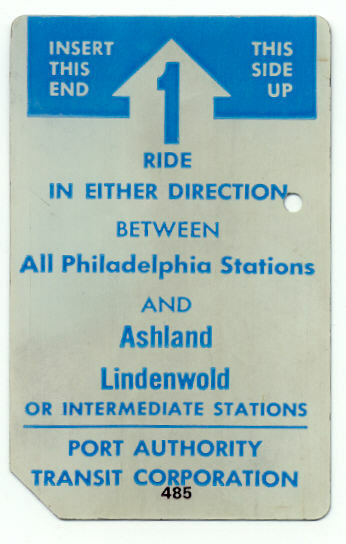 PRT is also older than SEPTA. 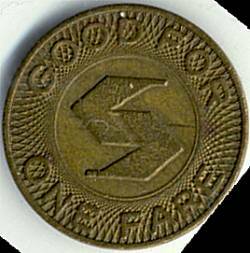 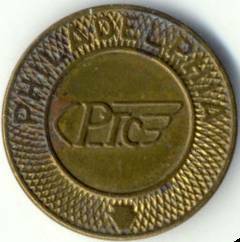 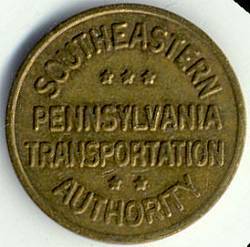 This token for SEPTA was issued for the nation's bicentennial in 1976. 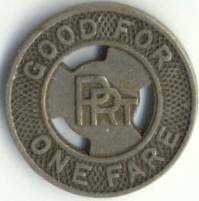 PATCO connects NJ with Philadelphia. 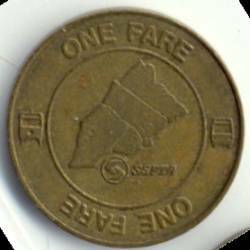 This heavy rail system uses these one time use magnetic cards for fare collection.